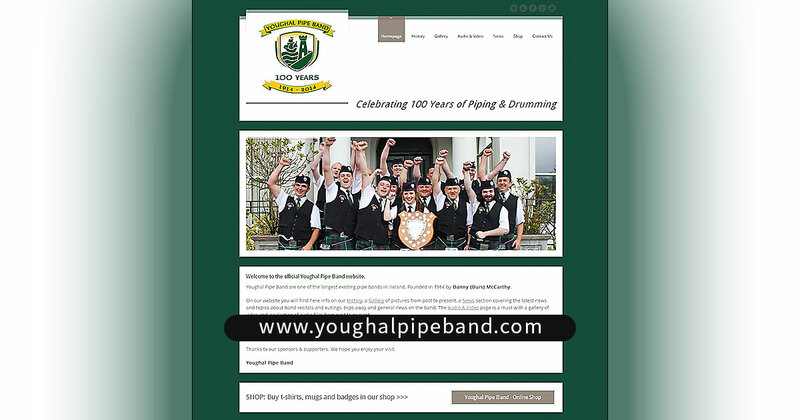 We have just re-launched our new website at www.youghalpipeband.com. The website redesign was developed by Kieran McCarthy. On our website you will find info on our History, a Gallery of pictures from past to present, a News section covering the latest news and topics about band recitals and outings, trips away and general news on the band. The Audio & Video page is a must with a gallery of video and a selection of audio files from past to present. We have an online Shop where you can support the band by purchasing a t-shirt, mug or lapel pin badge, we are also producing a CD and book that will be available towards the end of 2014. Thanks to our sponsors & supporters. We hope you enjoy your visit. Good luck in the Championships. Youghal Pipe Band are one of the longest existing pipe bands in Ireland. Founded in 1914 by Danny (Duis) McCarthy.